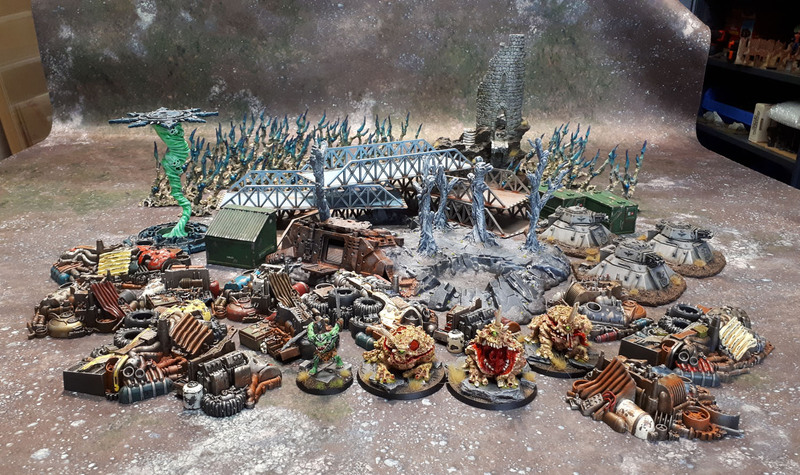 Terrain & Centrepiece Models Paint Challenge January 2019 – Community Round-Up | Azazel's Bitz Box. This entry was posted in Monthly Painting Challenges, Monthly Painting Round-Ups and tagged Community Painting Challenge, Monthly Painting Challenge. Bookmark the permalink. Some excellent stuff all around, particularly the astounding Knight and Daemon Primarch! I feel I should note that of the Shadespire Terrain, only the ones from the actual Shadespire scenery set were done in January. The rest were painted last suummer, I just never got around to showing them off. Fantastic work by everyone who entered, with such diversity and output. Yeah, a lot of people really did an amazing job in January. Fantastic pieces done by everyone. Thanks mate for putting it all together. Very tough, my thoughts are with you. A very diverse and amazing set of contributions from all again. Azazel, if you want a break for a month, I thought I’d mention that swordmasterofhoeth is running Monster March for the 3rd year in a row. Though I do intend/hope to get something done myself for Monster March! Wow wow wow. 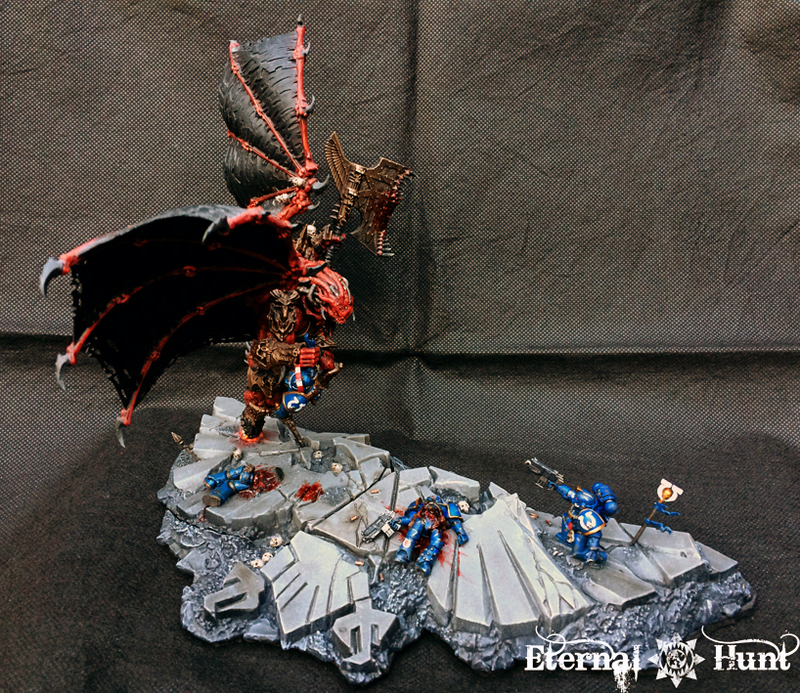 Great work all, and thanks to Azazel for another wonderful write up and collection. I look forward to seeing these and finding more blogs to follow! Cheers, Mark – the blog list just keeps getting bigger! Terrific output from everyone; you can all be very proud. For me, Alexis’s work is the most impressive this month. Thanks, as always, to Azazel for doing the organisation. Annoyed with myself for not getting around to contributing for January but I must say that once again a great round up and some excellent stuff on display. Nice alsos to see some new contributors as well. Well done everybody. Have really enjoyed seeing this lot all in one place, so thanks to everyone for submitting their work and to Azazel for pulling it all together! Thanks for putting this together Azazel, looks like it must of taken some time to do. I’ve found it a really helpful post as I’m relatively new to the online community and its a great snap shot of blogs, allowing me to find a load of blogs I did not know about! Very welcome mate – and of course feel free to join in on any challenges that take your fancy! Great work by everyone there. Thanks for pulling it all together too. Wow, once again terrific effort from everyone! Pete’s haul of different scale terrain was especially impressive, love those tiny 6mm buildings! 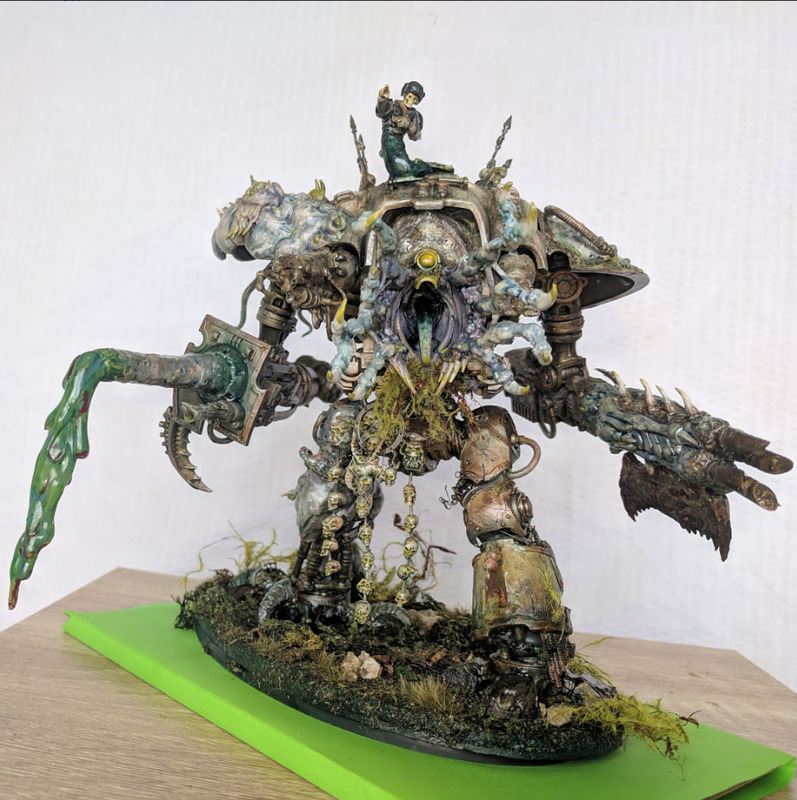 The Nurgle Knight, Tzeench Daemon Prince and the Underworlds terrain were also standout models! And thanks for the shoutout for my blog, Azazel! Very welcome, mate – that’s something that I feel like these challenges can do as a positive for this small bit of the gamer community – not just helping to motivate those of us who participate in the challenges, but even just drawing eyes (there are a lot more visitors to these posts than posters) to people’s work that might not be seen, or take longer to be seen. A lot of the early posts here would have been seen by very few, and probably in a lot of cases, nobody – so even with the high quality of your work I feel like it’s an easy thing I can do to draw a little extra attention when people who join the challenges have newer blogs. Nice post, Azazel. That’s quite the wrap-up! Terrain makes for a pretty interesting challenge, as we all have different ideas regarding how to go about it and what it is. Same can be said with minis, but it just seems terrain has an even wider scope. Cheers, Faust. 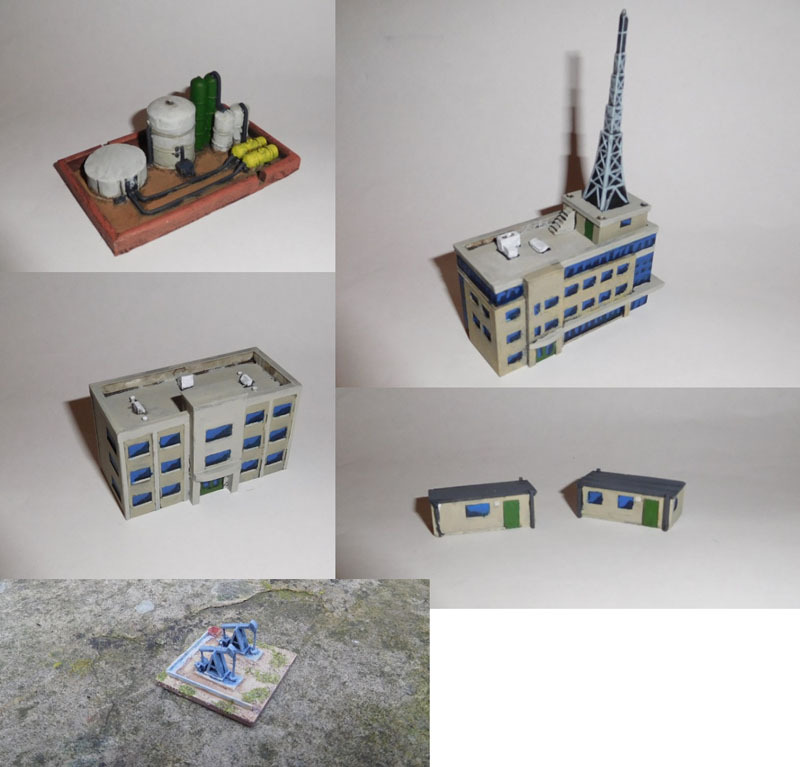 That’s the cool thing with terrain – being the “background” to our tables, it can vary wildly from the most expensive, finely detailed kits to complete DIY efforts (and now 3-d printed stuff!) as well as anything from the simplest hill to a hige building with interior detail, but as long as it contributes to the aesthetic of the table, it’s still going to be successful. Another haul of amazing models you’ve inspired there mate. I wouldn’t dare to pick favourites from such an impressive collection but that Knight and the Castle are simply stunning! Agreed – those two are both very impressive! 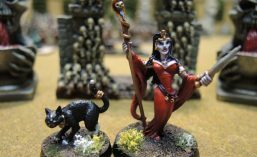 Pingback: Terrain & Neglected Models Paint Challenge February 2019 – Community Round-Up | Azazel's Bitz Box. All good mate – and I feel the same about picking favourites!